With just weeks to go before the birth of Prince Harry and Meghan’s baby, it seems that the Duke may be starting to feel a little nervous about fatherhood. At a mental health event in West London on Wednesday (April 3), Harry asked a young mother in attendance about her baby’s sleeping habits, suggesting that he’s worried how he and Meghan will fare once their newborn arrives. 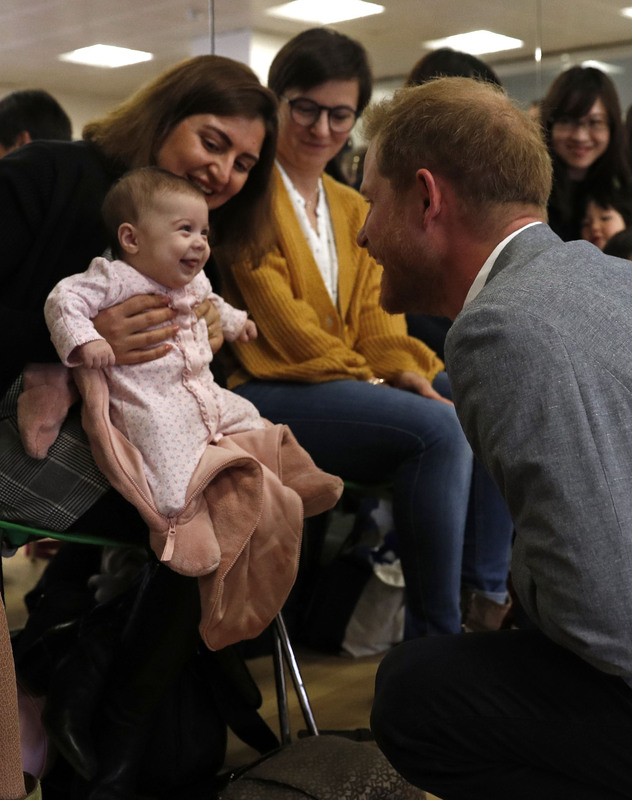 Mum Maria Ahmad, who was in tow with her adorable three-month-old daughter Naz, told the press after the encounter, “[Harry] was so excited and happy about the baby. Little Naz also seemed happy to meet the prince, giving him an adorable smile in the snap that has since been uploaded to the Sussex’s new Instagram account – their first post about official duties. 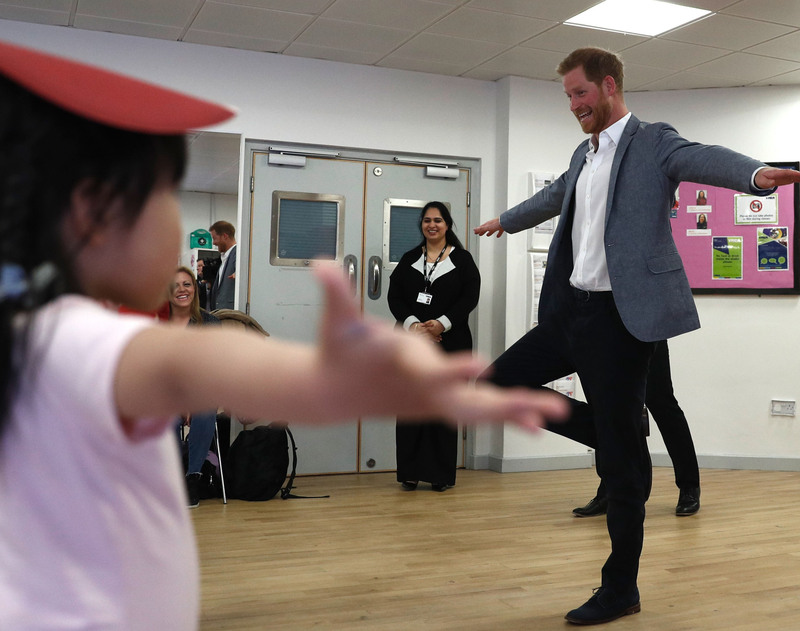 Racking up over 300,000 likes in less than 24 hours, the cute photo comes after Harry’s visit to the YMCA Ealing, where he joined a roundtable discussion on mental health community support for young people and flaunted his ballet skills in a Y-active class with some of the children. The Duke made an impressive attempt to balance on one foot alongside the kids – although it looks like they may well have outshone his efforts! At the event, which was held in association with Prince Harry and William’s mental health project, Heads Together, the Duke also shared some thoughts on the online world, and how damaging it can be. The Duke warned of the dangers associated with social media, saying, “Social media is more addictive than drugs and alcohol. Yes, it is more dangerous because it is normalised and there are no restrictions. So we are in a really mind-altering time. “But we are in an exciting time because everybody in this room has an opportunity to actually make a real difference so that young people coming through are less connected to their phones.